Arrival at Cochin Airport/Railway station. You will be greeted by our representative and will transfer you to Munnar (04 Hrs drive). Enjoy beautiful streams small water falls, Rubber, Pepper cardamom and Tea plantations and thick forests throughout the Journey. Overnight stay at Hotel….. Check out and proceed to Thekkady(4hrs drive). On arrival at Thekkady, check into Hotel. After some rest, go for Boating in Periyar Lake (optiona).Experience the mind blowing view of calm crystal clear Periyar Lake and Sanctuary. You may get a chance to see different type wild animals while boating. Overnight stay at your hotel.. Check out from the hotel and we drive down to Allepey (4 Hrs drive).Check in at Houseboat. 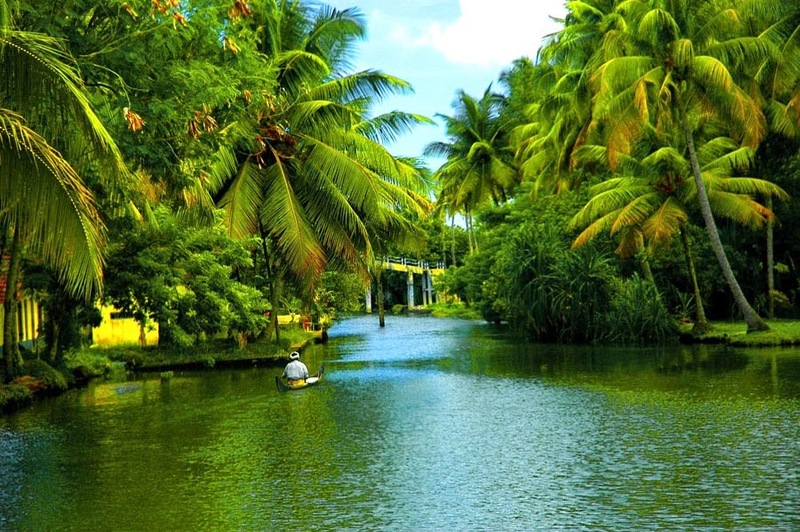 Go for Sunset cruise in the evening(optional) or enjoy the beauty of backwater by just relaxing near Vembanadu Lake. Overnight at Houseboat. Morning, check out from houseboat after breakfast and transfer to Kovalam (190 Kms / 4.5 Hrs). On arrival at Kovalam, check into Hotel. Kovalam is considered as the Paradise of the South. It consists of three adjacent crescent beaches and also picture perfect tropical beaches. Rest of the day at leisure on the beach at Kovalam. Overnight stay at Hotel. Check out from the Hotel and Drive to Trivandrum Airport for your flight back home.As all good things have to come to an end, this tour also comes to an end,leaving behind sweet memories of your visit for us…… And life’s most memorable moments for you to take back……… See off by Backpack Holidays Representative…..